As dentists we deal with tooth trauma everyday, but our patients are not so seasoned. So it is understandable that when they DO have an emergency, like someone knocks out a tooth, they forget what to do in that urgent time of need. 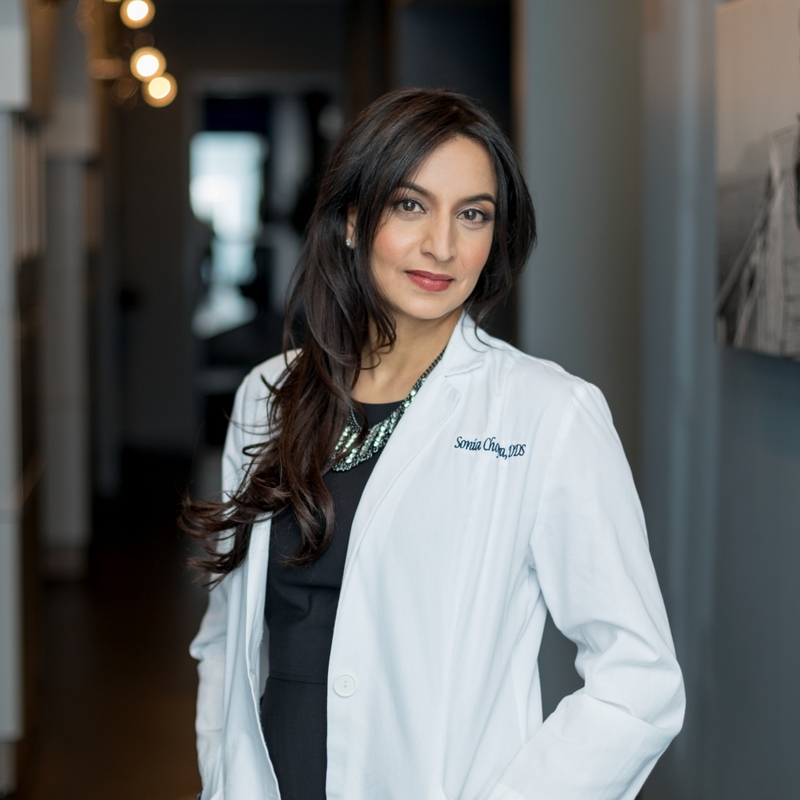 Over the years of treating patients and trying to save their avulsed teeth, I realized that the very important steps of what to do when you knock out a tooth needs to be shouted from the hilltops! My mission is to spread this information to EVERY parent, EVERY school nurse, and EVERY emergency room! I created this handy infographic walking a patient through the steps when that “uh-oh” happens. I’ve used it in my own practice, and liberally share it wherever I can in my community. You can boost your patients’ experience, and hand it out during consultations. Download it and post on your social media channels, and then print one to go over when when you’re face to face with patients (and especially parents!). Help me with my mission to spread the word! As a dentist you have the power to save teeth! Step 1: Find the tooth! Chances are, you have noticed your tooth falling out right away. 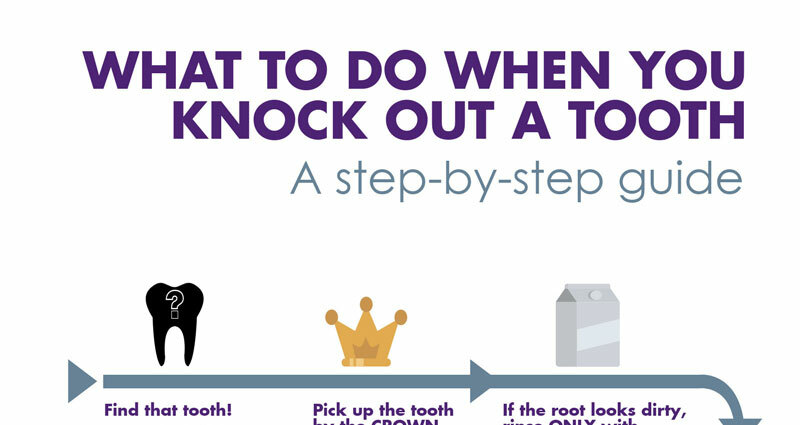 Step 2: Pick up the tooth by the CROWN. Do NOT touch the root of the tooth. Step 3: If the root looks dirty, rinse ONLY with Hank’s Balanced Salt Solution, (it’s proven to be the best, hands down!) or alternatives are a saline solution or milk (low-fat milk is best, but any milk will do). Do NOT use water. Step 4: Try to put your tooth back in its socket. If you are having a hard time getting the tooth to stay in the socket, again you can soak it in Hank’s (see step 3), or a sterile saline solution, or milk. Step 5: Hold the tooth in place with gauze or use a clean washcloth. Step 6: TIME IS OF THE ESSENCE! The chances of saving your tooth are greater if you can get the tooth back in the socket within ONE hour! Step 7: Bypass the emergency room and get to a dentist as soon as possible! And don’t forget to bring your tooth! Download your own copy of the tooth trauma infographic for your practice HERE. You can add your branding to it and give it to your patients, or print it large. Sharing is caring! Thank YOU for checking it out Erin!